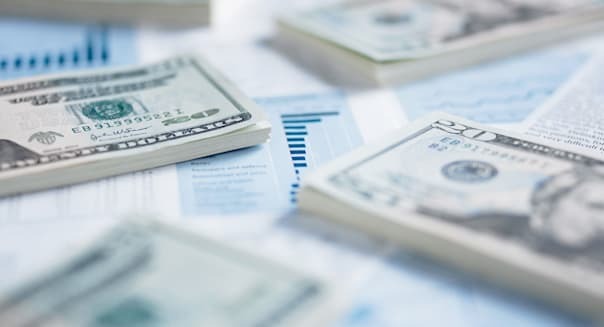 Investors who are concerned that owning bonds are no longer a safe haven when interest rates could rise later this year have several options. One tactic is to purchase Treasury and investment grade corporate bonds for their retirement portfolios. Investors should shy away from any bonds whose maturities are longer and favor those which are a shorter term duration such as five-year Treasuries compared to 30-year Treasuries, said Robert Johnson, CEO of The American College of Financial Services in Bryn Mawr, Pennsylvania. Volatility in the stock market is expected to be part of the norm this year as the Federal Reserve weighs the economic outlook of the U.S. As the Fed decides when it will make its first rate hike since 2006, economists are now leaning toward an increase from nearly zero to occur in September instead of earlier predictions of June. The Fed will continue to monitor the economic progress of the U.S. and progress of the labor market. Fluctuations in the dollar are also affecting the performance of the market. Keeping fixed income in your 401(k) or IRA in an environment where interest rates rise can be tricky. Johnson, along with co-authors Gerald Jensen of Northern Illinois University and Luis Garcia-Feeijo of Florida Atlantic University, researched returns in the bond market relative to interest rate environments and published their findings in the 2015 book, "Invest With the Fed." The research found a pattern in the returns of Treasury bonds, U.S. government agency bonds and investment grade corporate bonds. All three types generated "very similar returns" whether interest rates were rising or falling. The highest returns in these three types of bonds occurred when rates were neither rising nor falling. "But unlike stocks, the differences in returns weren't very great across the three interest rate environments," Johnson said. "For instance, Treasury bonds returned 7.0 percent, 9.1 percent and 6.3 percent across falling, indeterminate and rising interest rate periods." As the U.S. economy faces a weaker economic prospect with retail sales posting only a 0.9 percent gain last month and lackluster employment figures, any monetary tightening policies could affect the value of bonds. The current concern over the Fed tightening its policy along with the "handwringing by Fed policymakers themselves is sound and fury, signifying nothing," said Charles Sizemore, chief investment officer of Sizemore Capital Management in Dallas and a portfolio manager on Covestor, the online investing company. "With the economy losing steam and with the U.S. dollar punishingly high, I don't see the Fed raising rates by more than 0.25 percent to 0.50 percent, and that is if it raises rates at all," he said. "While tightening cycles are always a force to be reckoned with, this one is potentially a much bigger deal. We may not see any concrete action for another year or more." With the current market environment, owning bonds does not make sense, Sizemore said. "With bond yields across the yield curve so low as to offer virtually no inflation-adjusted return, you really lose nothing by being out of most bonds," he said. Rising rates create problems for bond fund investors, said John Lewis, president of Gerard Wealth Management, a registered investment adviser in Olathe, Kansas, and a portfolio manager for Covestor. Since bond funds don't have fixed maturity dates, an investor's principal value will decline until rates stabilize or begin declining in this type of market, he said. "I prefer investment-grade individual municipal or corporate bonds," Lewis said. Diversifying your bonds can be another way to lower your volatility and exposure, said Matt Tuttle, CEO of Tuttle Tactical Management in Stamford, Connecticut. "By any measure that you want to look at, we are close to the top of the market," he said. "Investors need to be prepared. They need to be tactical or rotate among different bond sectors like corporate, high yield or emerging markets based on which one is the strongest." Longer term interest rates have been falling for 16 months now, said Guy LeBas, chief fixed income strategist at Janney Capital Markets in Philadelphia. The markets for longer term rates have "already priced in the coming Fed rate hikes," he said. While short-term interest rates will probably rise, their forecasts predict that long-term interest rates will remain stable. This environment will make it attractive to buy long-term bonds for retirement portfolios. "This divergence between short-term and longer term interest rates provides a good prescription for investing in the bond markets," LeBas said. "We recommend short-term high-yield corporate bonds with a maturity of less than five years and intermediate municipal bonds for fully taxable portfolios." Investors should avoid Treasuries with a three- to five-year maturity, corporate and municipal bonds since these bonds "could get impacted by a faster pace of Fed rate hikes more than other types of bonds," he said.